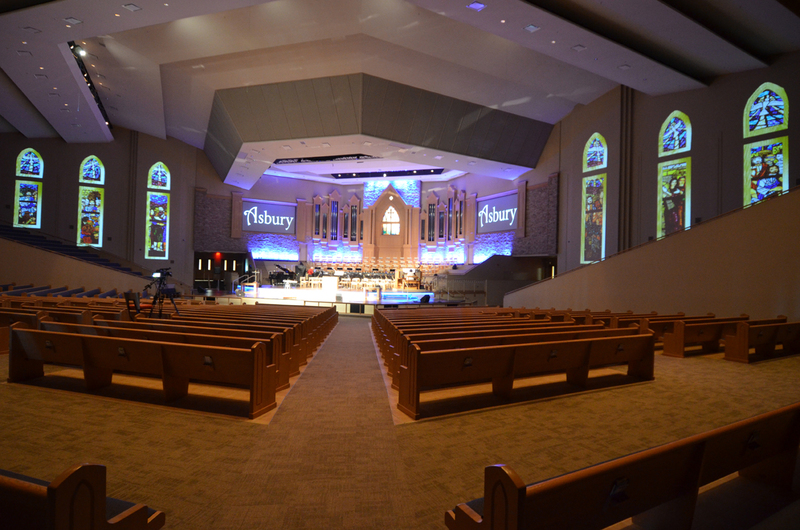 The senior pastor, Tom Harrison of Asbury United Methodist Church in Tulsa, Oklahoma was concerned that if they didn't make some changes to incorporate the "next generation" of worshipers, that they like many other churches would see a great decline in attendance. He reached out to Donnie Haulk, president and CEO of Charlotte, NC-based AE Global Media, a leader in audio, video, acoustic and lighting technology applications for churches, education, entertainment, and sporting venues. Haulk recalls the pastor saying that a few years earlier they had started a modern worshiping service at church's family life center, which was attracting a group of people that were worshiping in a very diverse way from the traditional worship in the main sanctuary. The church ministry leaders and elders wanted to create an environment that would attract these worshipers into the main sanctuary. Haulk says, "When I sat down with the elders and the leadership, they asked, 'how do we become relevant today?' They wanted to do something very cutting edge. They wanted to look at the possibility of environmental projection." The elders considered that they might lose some congregants because of the change but still felt it was what was needed to represent the industry and to move into the future. Haulk says, "The technology team from the church attended some trade shows, and we met up at WFX." 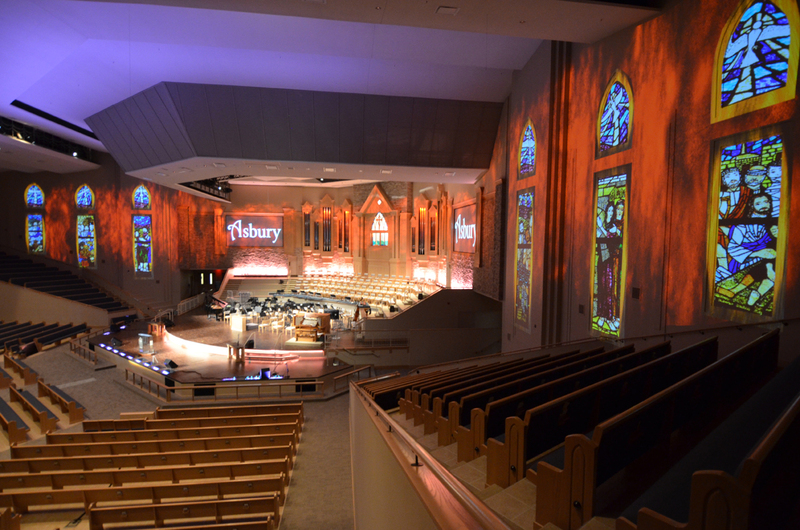 Together they chose projectors from two different manufacturers to have sent to the 3,200-seat Asbury United Methodist worship facility for a side-by-side comparison. 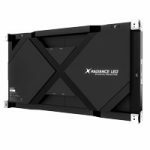 The projectors — five of them, needed to fill a 300-foot-wide wall, integrate edge blending and pixel mapping technologies, and needed to deliver a dramatic impact. Haulk says, "They liked the color, the intensity and the contrast," of the Digital Projection TITAN Quad 2000. 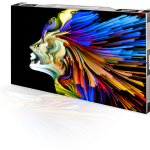 But before the final decision was made, in addition to others "we actually had Digital Projection in early when we were judging which manufacturers were going to be there and help support this new type of projection, because this type of installation is not common," says Haulk. "This is still fairly new technology to be adopting and we wanted to make sure they were behind it. They were from the first day." 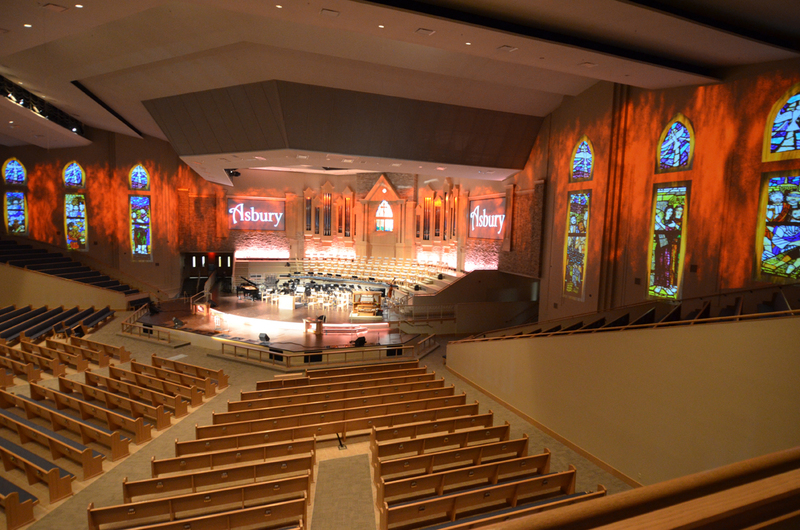 Haulk, his team AE Global Media and the technology team from Asbury United Methodist lead by Danny Hill went back to the drawing board with how they were conducting their worship services in the main sanctuary. "Part of the design criteria was to have a completely convertible space in 15 minutes," says Haulk. They designed the space and technology to host a traditional liturgical service, and in 15 to 20 minutes transform the sanctuary to host a modern service, flying in Scenic, lighting and band elements. "The orchestra is gone, the choir is gone, and they completely changed the instrumentation. They changed the lighting look, and completely changed the environment with the projection, and it becomes a very modern facility," says Haulk. 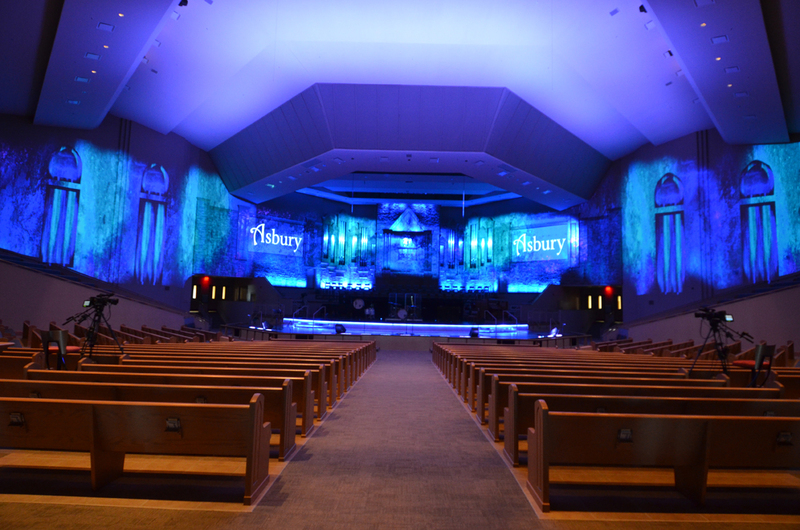 "We designed a massive environmental projection system and Digital Projection is a key component." In addition, the stage and the pulpit were redesigned to create a more intimate environment. "I changed the acoustic environment as well. On the traditional side we wanted to have more reflection in the choir loft area, to be a little more classical for the orchestra and choir," says Haulk. "And on the stage we moved the pastor closer to the people. The 2014 Easter Service was the launch service, which included traditional and modern worshipers. "It was a huge hit," says Haulk. "The following Sunday the traditional service went back to beige walls, without color or video," but still benefited from the greatly enhanced audio quality from the choir and the intimacy created by the redesigned stage that moved the pastor closer to the congregation. 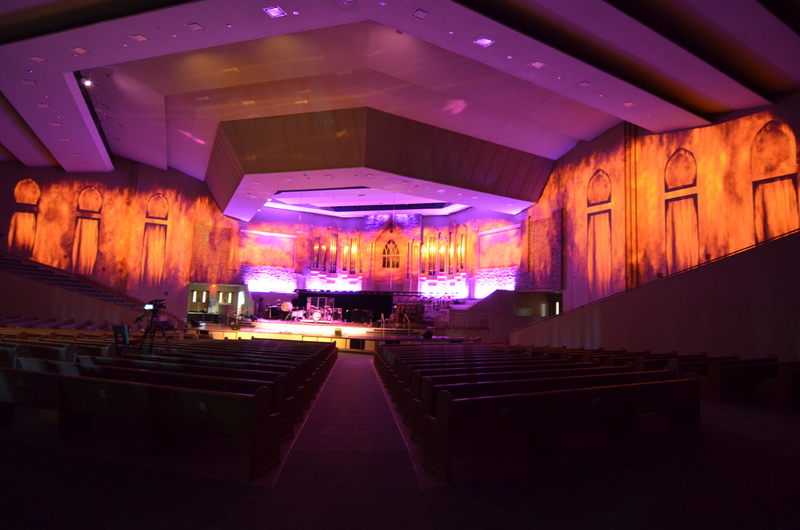 The modern service continued to project inspirational messages and images edge blended onto the 300-foot-wide wall, creating dramatic impact with color and projection mapping, and acoustics befitting of the best concert hall. A couple of Sunday's after the spectacular Easter service, Haulk says, "Some of the congregants from the traditional service talked to the Danny Hill, producer, and wondered why they couldn't have that in their service." On the fifth Sunday the producer used environmental projection, "and put a couple of 20-foot doves on the left and right walls with the wings moving very slowly, and introduce a little bit of color," says Haulk. "People loved it and thought that it enhanced the worship." Haulk says, "The thing we enjoyed about the relationship with DP is that they have stood behind their products and they too are innovators in this industry." Both services have grown in attendance. "They weren’t expecting the traditional service to grow in attendance but it grew some 15 to 20 percent over these last few months and the modern service grew about 30 percent. They nailed it. So all the planning—everything that they did moving forward—has more impact than what they imagined it could have. They didn’t dream that they would grow 25 to 30 percent a year," concludes Haulk. Photos courtesy of Asbury United Methodist Church and AE Global Media.